"Amy is a gift to the Senior industry. Her passion at helping others was particularly evident when she took on a client for me that would not be a revenue maker. This client needed her help badly. She went to work immediately to help him and has proven that this is a true calling. Her ethical values are unquestionable and I hope to refer many more clients to her." - Becky P.
With Carrick Consulting’s daily money management services, you can delegate your bill paying and escape the feeling of being overwhelmed or unable to find things. We make sure you avoid late fees and look for opportunities for cost savings. Our team helps gather, analyze and organize assets to determine the best path. We can explain your financial statements, budget requirements, and research billing disputes. Our daily money management services meet the needs of seniors and people with disabilities who find it difficult to keep up with routine paperwork and bill paying requirements, even though they can handle most other tasks of daily living. It’s also ideal for anyone with a hectic lifestyle who can benefit from the peace of mind that daily money management can bring. Are you confused when using new financial tools like electronic bill payment and online banking? Not understanding can lead to higher costs due to late bill payments, paying the wrong creditor or even fraud. Or do you travel or live part of the year in another location? Why juggle making sure the mailing addresses are changed, etc? We'd love to help bring efficiency to your life, eliminate stress with less mess. We specialize in creating custom systems and routines for household mail, budgets, home transitions and more. We are available for projects or on-going jobs. 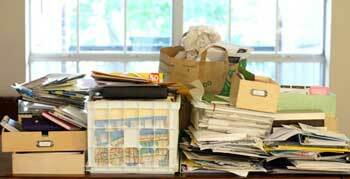 Organize your home: Streamline cluttered files and records. Establish systems to maintain order. Organize your information: Update, maintain and file your mail, letters/cards, address book. Organize your household financial matters: Track your monthly expense and financial tasks, projects and ideas. Pay bills. Manage expenses. Evaluate cash flow for fraud and cost savings. We’re a member of the American Association of Daily Money Managers and a Certified Senior Advisor (CSA). At Carrick Consulting, the customer always comes first. Frank Thornton said he decided to get help from a pro when he became the official guardian for his aunt, 86-year-old Doris Cleveland, and realized he was drowning in paperwork. "We needed an expert," said the 68-year-old Hartwell, Ga., resident who described himself as an "old bachelor." Thornton said he wanted a bookkeeper who could handle the financial logistics. But not just any bookkeeper — someone with savvy and compassion. He found it in Greenville, S.C., he said, in Amy Carrick, who provides daily money management services, primarily for seniors.